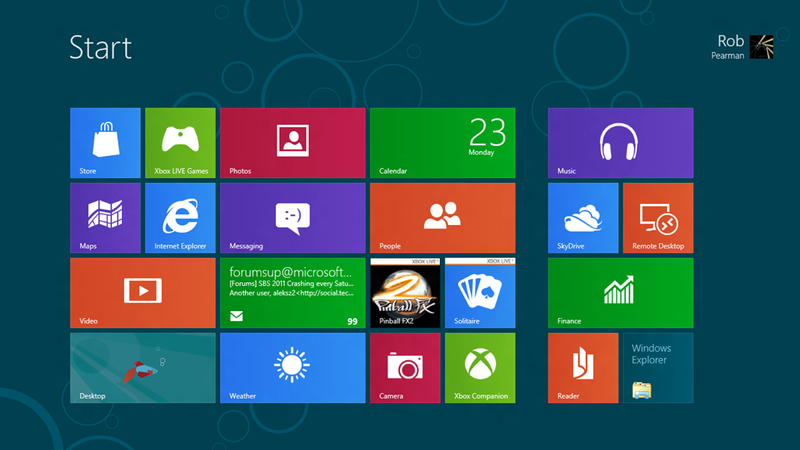 I currently have my laptop set as a dual boot between Win 7 Ultimate, and Windows 2008 R2. I use Windows 2008 R2 for Hyper-V demo’s, so i like having my laptop dual boot to that because i dont have to worry about having a separate Demo system to carry with me. 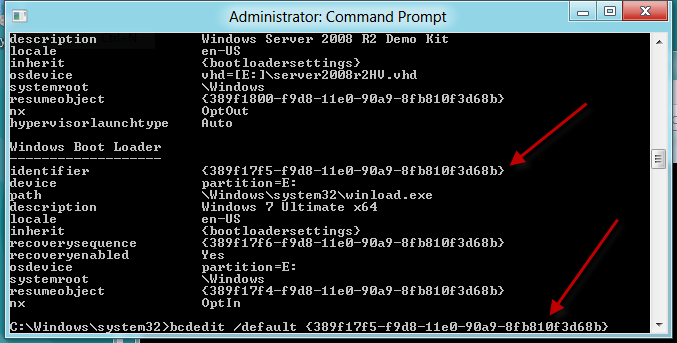 Something awesome i did with my dual boot, was to have it install Windows 2008 R2 to a VHD. I am kind of lucky in that my laptop HD is 700gb, so i could have easily said – you know what ill just partition my laptop drive, but after talking to Tim Barrett, we both agreed we would have more flexibility if our Dual Boots went to VHD. Because Tim doesn’t think things through, he didn’t do this when installing his laptop, and his now stuck with a full up C drive, and a second partition that is nearly empty. Here is how my ‘Computer’ appears. 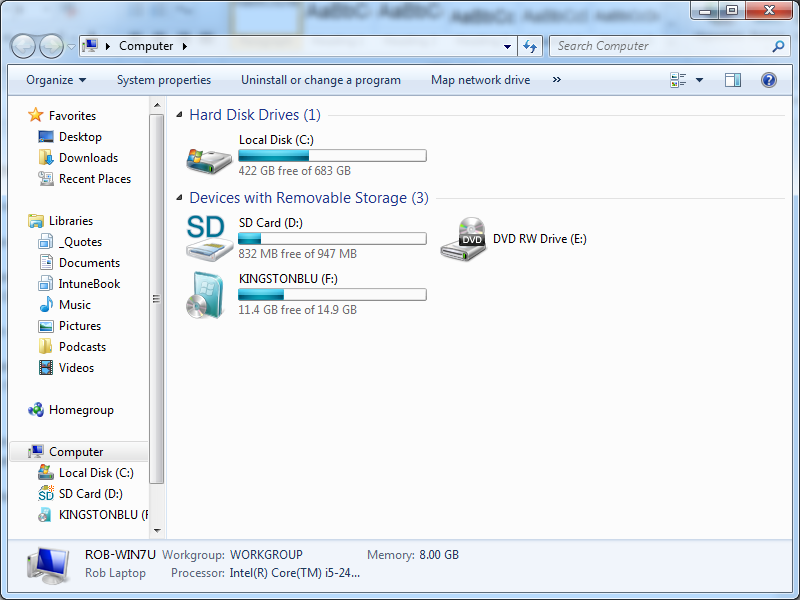 And here is my C drive. 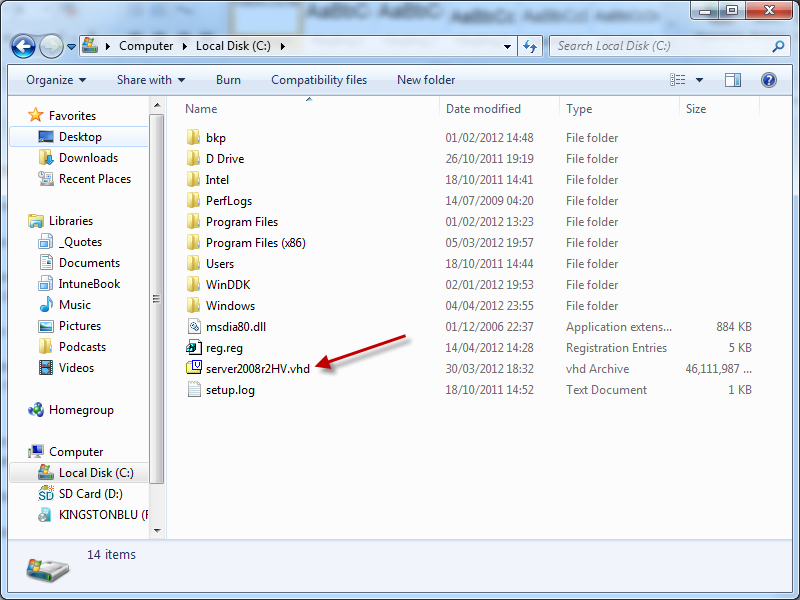 As you can see i have a file called server2008r2.vhd – this is my Server 2008 R2 Installation. 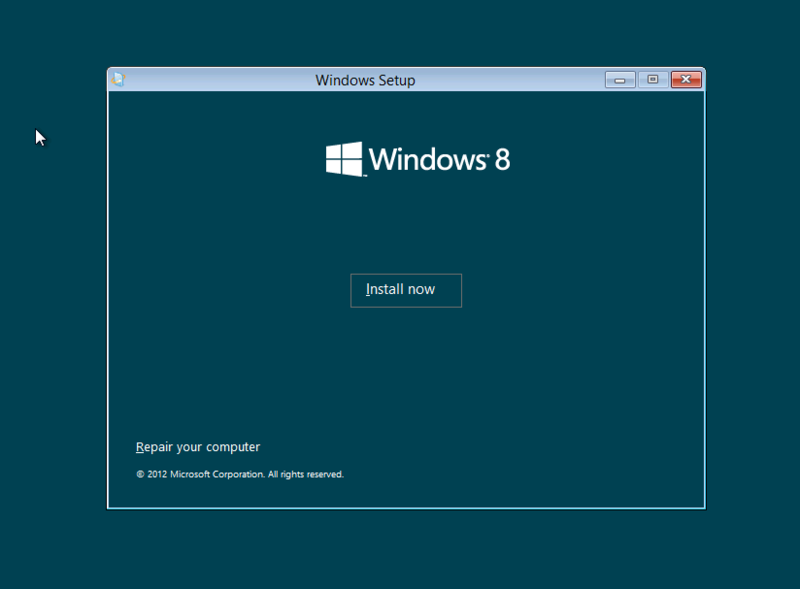 When it came round to installing Windows 8, of course i didn’t want to do it any other way than using a VHD. 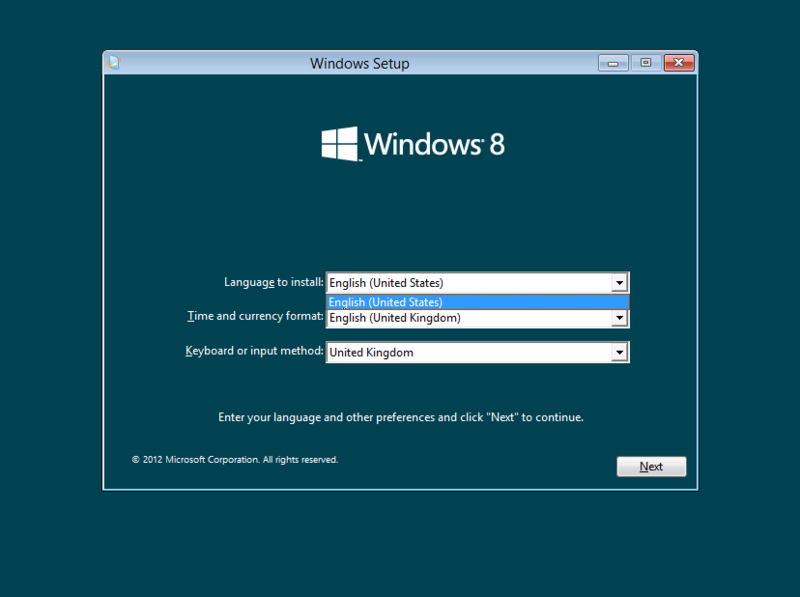 Second, you will need a USB drive, and you can download a tool from the Win 8 download page to make a bootable USB key to install. 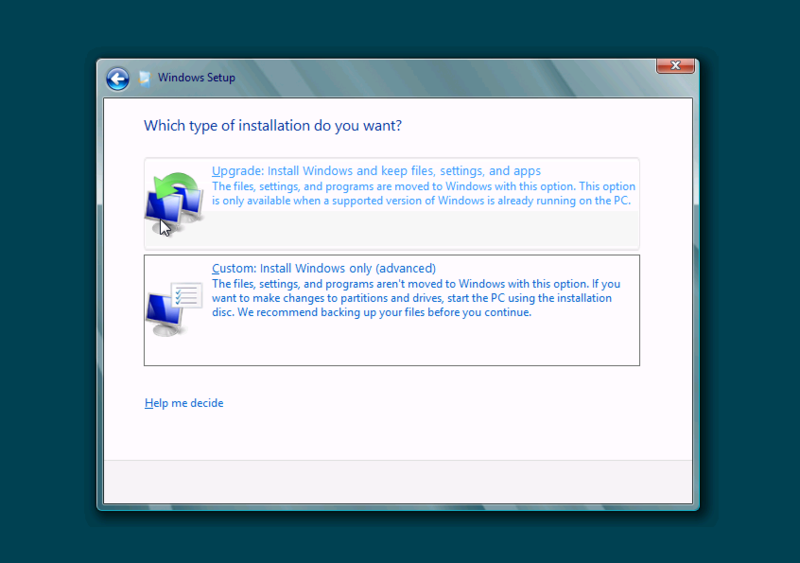 When you are performing the install, you get to the Custom/Upgrade page. Chose Custom. Now hit Shift F-10 on your keyboard. 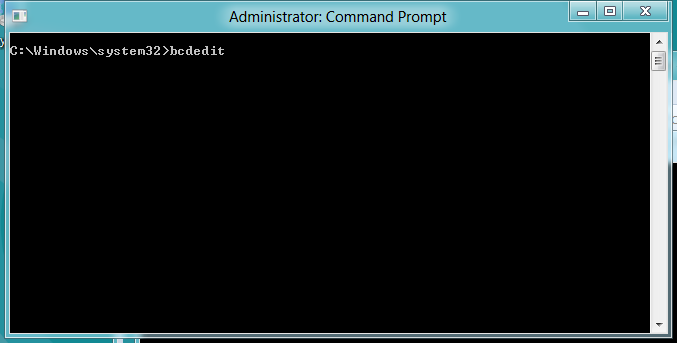 This will launch a CMD window, from which you can launch DISKPART. 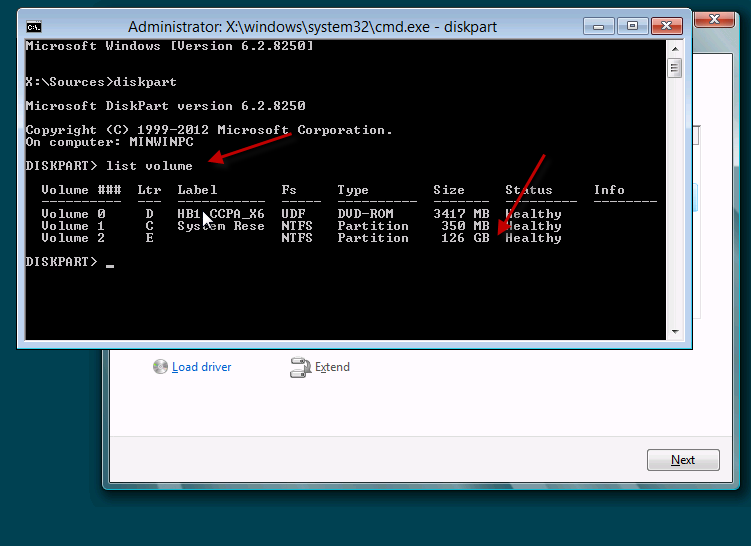 Enter LIST VOLUME, this will show you the available volumes and there WinPE drive letter assignment too. 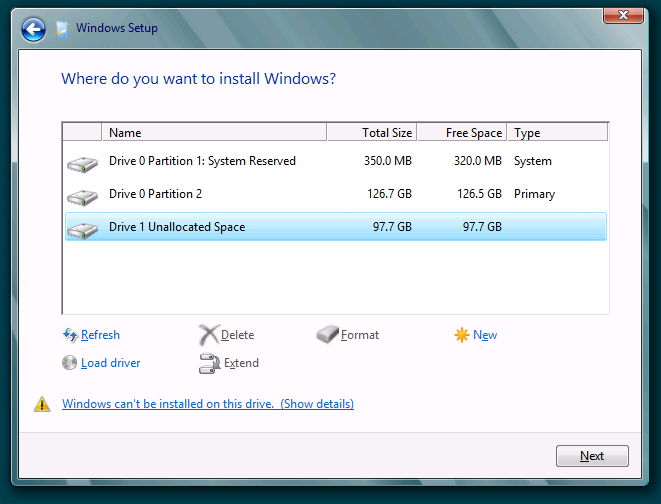 As you can see my main partition is listed as E in WinPE. 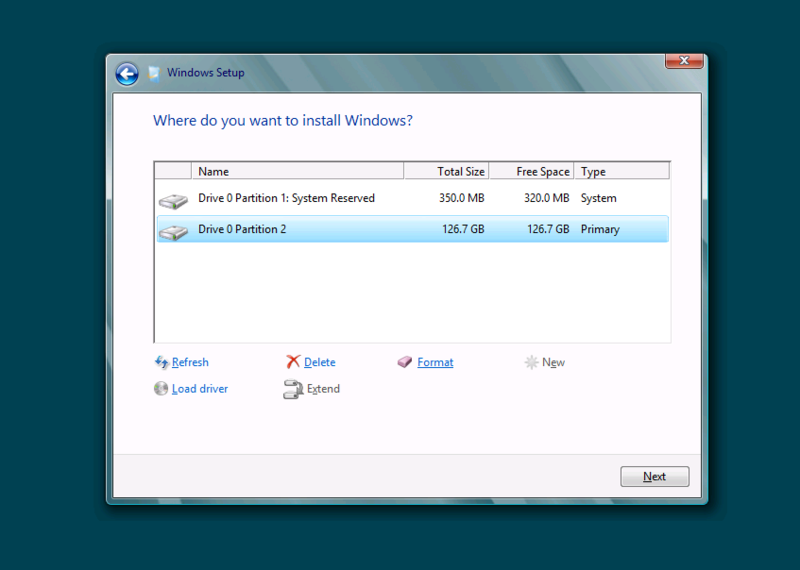 Now we want to create a new VHD to install our OS to. In my example i am creating a new VHD on Drive E, which is a dynamic VHD with the max size of 100000mb. This should complete quite quickly. 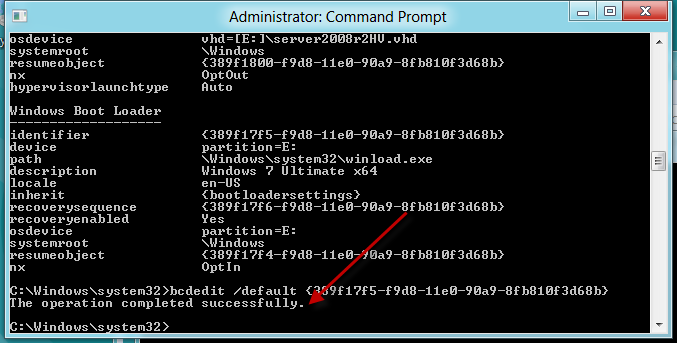 Now close your CMD window, and click Refresh, your VHD is now listed as a destination for your OS. 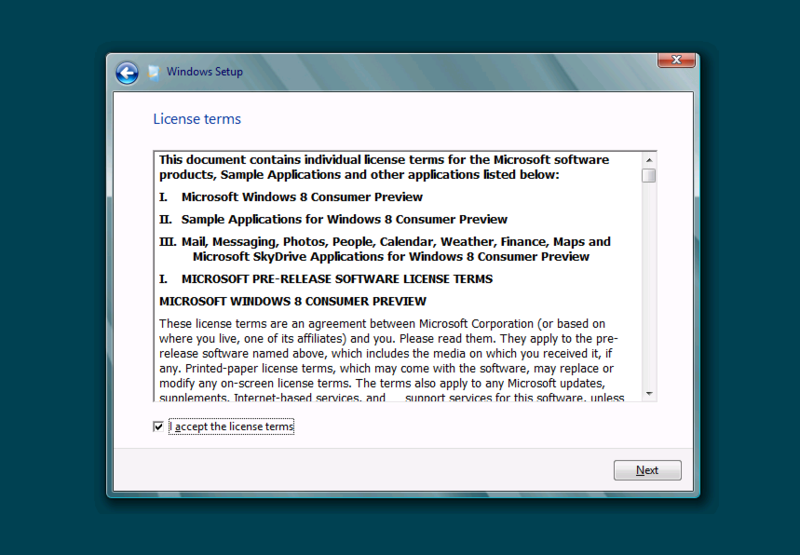 You can select it, and complete the install as normal. 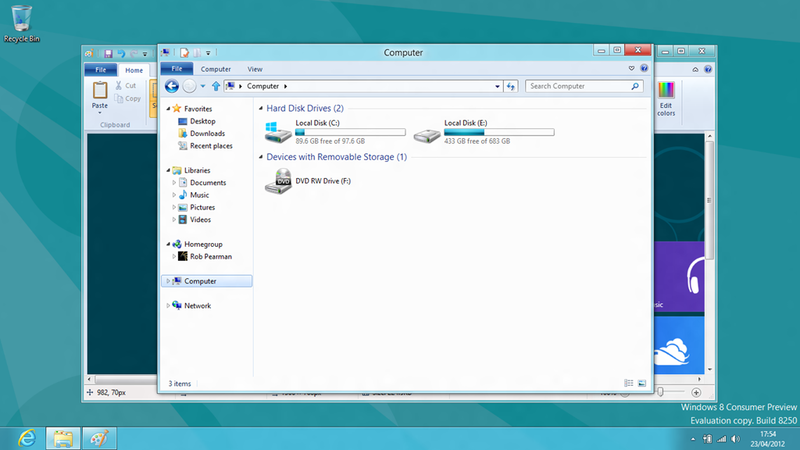 Loading up ‘Computer’ from the Windows 8 machine, you can see my VHD appears as a normal HD, and my main Disk also appears. 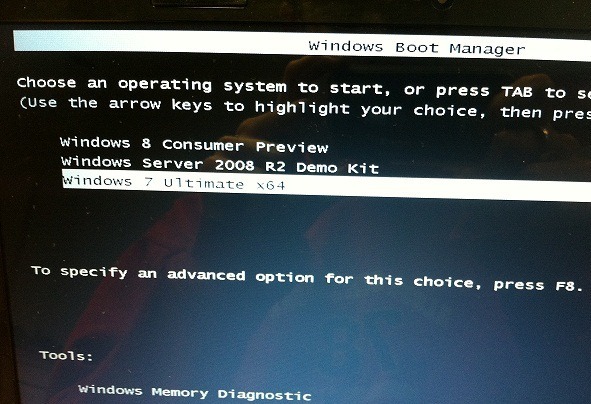 After the OS has installed, you might want to play with the default boot order. If so, you will want to launch BCDEdit. 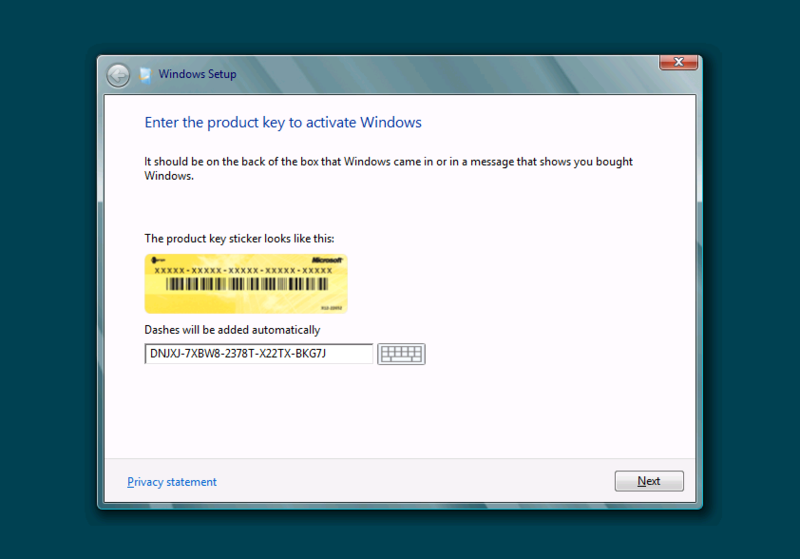 You will need to flip out of Metro, i have no idea where the run box is, so i just used a Windows Shortcut, of Windows Key + R.
Check for the Identifier of the OS you want to work with. 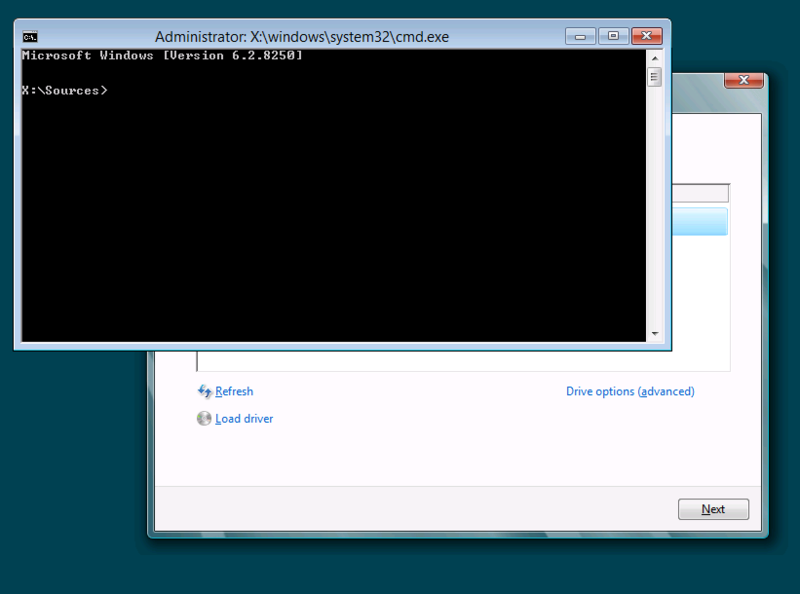 Then when you reboot, you will see your three OS options, and as you can see Win7 is back to default.